Lord, I thank you that you are my shepherd. You’re a good shepherd. You have shepherded me all my life. And, great Shepherd, please shepherd my family today: guard them from the ways of the world; guide them into the ways of God. Lead them not into temptation; deliver them from evil. O great Shepherd, I pray for my children; cause them to be your sheep. May they love you as their shepherd, as I do. And, Lord, please shepherd me in the decision that’s before me about my future. Do I make that move, that change, or not? I also pray for our under-shepherds at the church. Please shepherd them as they shepherd us. Lord, I thank you that I’ve never really been in want. I haven’t missed too many meals. All that I am and all that I have has come from you. But I know it pleases you that I bring my desires to you, so would you provide the finances that we need for those bills, for school, for that car? Maybe you know someone who is in want, and you pray for God’s provision for him or her. Or you remember some of our persecuted brothers and sisters around the world, and you pray for their concerns. Possibly the term “green pastures” makes you think of the feeding of God’s flock in the green pastures of his Word, and it prompts you to pray for a Bible teaching ministry you lead, or for a teacher or pastor who feeds you with the Word of God. When was the last time you did that? Maybe you have never done that, but praying through this psalm caused you to do so. Yes, Lord, do lead me in that decision I have to make about my future. I want to do what you want, O Lord, but I don’t know what that is. Please lead me into your will in this matter. And lead me beside still waters in this. Please quiet the anxious waters in my soul about this situation. Let me experience your peace. May the turbulence in my heart be stilled by trust in you and your sovereignty over all things and over all people. 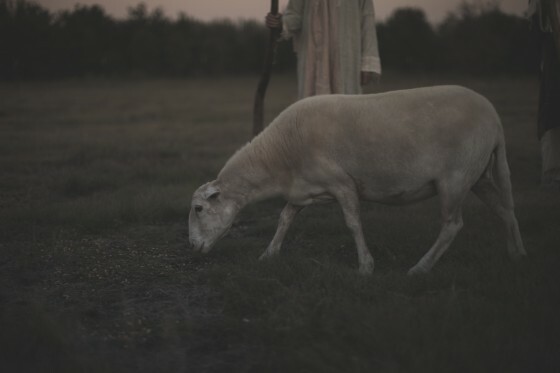 My Shepherd, I come to you so spiritually dry today. Please restore my soul; restore to me the joy of your salvation. And I pray you will restore the soul of that person from work/school/down the street with whom I’m hoping to share the gospel. Please restore his soul from darkness to light, from death to life. You can continue praying in this way until either (1) you run out of time, or (2) you run out of psalm. And if you run out of psalm before you run out of time, you simply turn the page and go to another psalm. By so doing, you never run out of anything to say, and, best of all, you never again say the same old things about the same old things. So basically what you are doing is taking words that originated in the heart and mind of God and circulating them through your heart and mind back to God. By this means his words become the wings of your prayers.